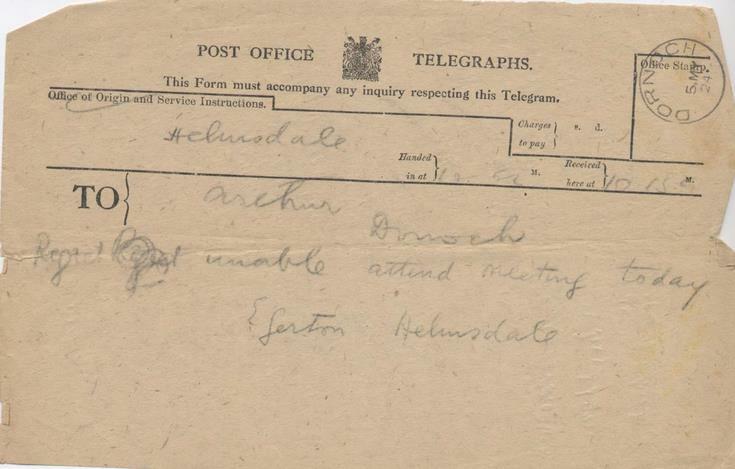 Telegram to JH Arthur from E Gerton (?) Helmsdale re meeting about cathedral septcentenary celebration, with pencilled notes on the back. Dated May 5 1924.